KAMPALA- The ruling National Resistance Movement (NRM) ‘rebel’ MPs are considering joining the New Formation formed by former Forum for Democratic Change (FDC) President, Gen. Mugisha Muntu. John Baptist Nambeshe, the Manjiya county MP (NRM) Monday at Parliament said that all NRM MPs labeled rebels are willing to join other political forces in the country to cause regime change. Nambeshe said all the NRM legislators that were against the removal of the presidential age limit have been isolated from the party caucus and related activities. Other MPs isolated from the NRM include Theodore Ssekikubo (Lwemiyaga County), Barnabas Tinkasimire (Buyaga West), Mbwatekamwa Gaffa (Kasambya county), Patrick Nsamba (Kasanda North) and Monica Amoding (Kumi Woman Member). 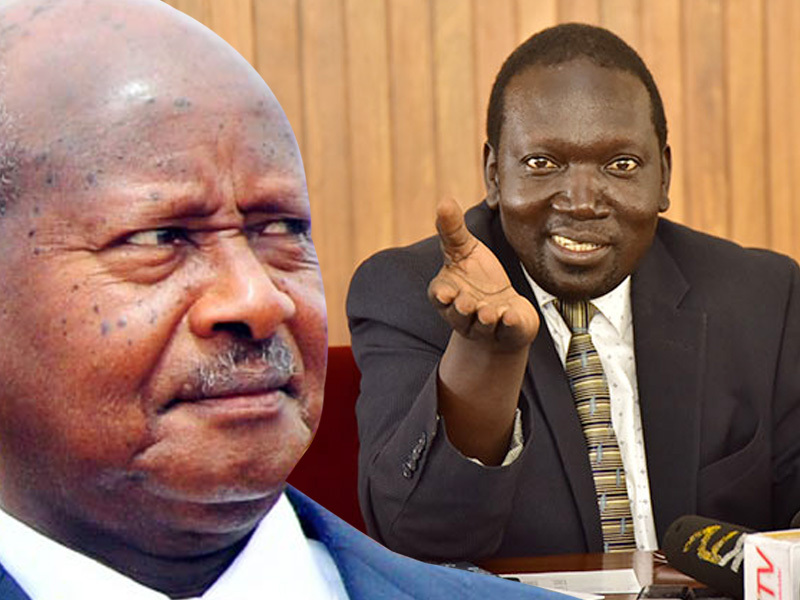 Nambeshe was responding to a question on whether he was invited for the upcoming NRM caucus meeting that was summoned by President Museveni at State House Entebbe to debate on the Mobile Money tax reports. “Indeed I could not be invited for the NRM caucus, having been ejected forcefully by none other than the Chairperson of the party (President Museveni) at the time when he was aggressively championing the removal of the presidential age limit from the constitution,” Nambeshe said. He also revealed that rebel MPs are waiting for the opportune time to join forces to dislodge the President. I was there to ensure that we are also moving from where we have been isolated as NRM members so that we move from isolation to cooperation; You will see me cooperating with People Power of Robert Kyagulanyi. I will be cooperating with Muntu, with the likes of Mao,” he said. He also castigated the UPC saying the party is already in bed with NRM. “UPC is already NRM because even the wife of the party president was the one confusing us here over the Mobile Money bill and she has soo many charges of misappropriating funds and also looting every piece of land she finds in Kampala,” Nambeshe said.